Leather Seats, 4x4, Heated Driver Seat, Premium Sound System, Satellite Radio, Onboard Communications System, Trailer Hitch. Chevrolet LTZ with Victory Red exterior and Ebony interior features a 8 Cylinder Engine with 360 HP at 5400 RPM*. AUDIO SYSTEM, AM/FM STEREO WITH CD PLAYER AND MP3 PLAYBACK seek-and-scan, digital clock, auto-tone control, Radio Data System (RDS), automatic volume, TheftLock, auxiliary input jack, USB port and 36 cross-band presets (STD), TRANSMISSION, 6-SPEED AUTOMATIC, HEAVY-DUTY, ELECTRONICALLY CONTROLLED with overdrive and tow/haul mode (STD), ENGINE, VORTEC 6.0L V8 SFI (360 hp [268.4 kW] @ 5400 rpm, 380 lb-ft of torque [513.0 N-m] @ 4200 rpm) (STD). Non-Smoker vehicle. CarAndDriver.com's review says "Though they drive big, GM's HD trucks are surprisingly smooth and quiet, and make child's play of towing.". Hello, I would like more information about the 2010 Chevrolet Silverado 2500HD, stock# P1458. 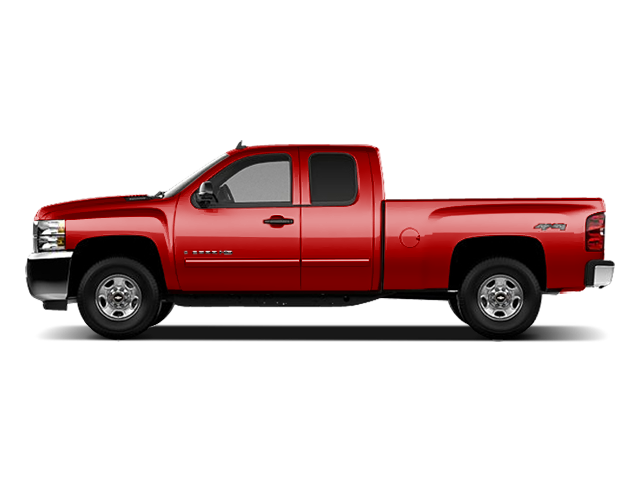 Hello, I would like to see more pictures of the 2010 Chevrolet Silverado 2500HD, stock# P1458.